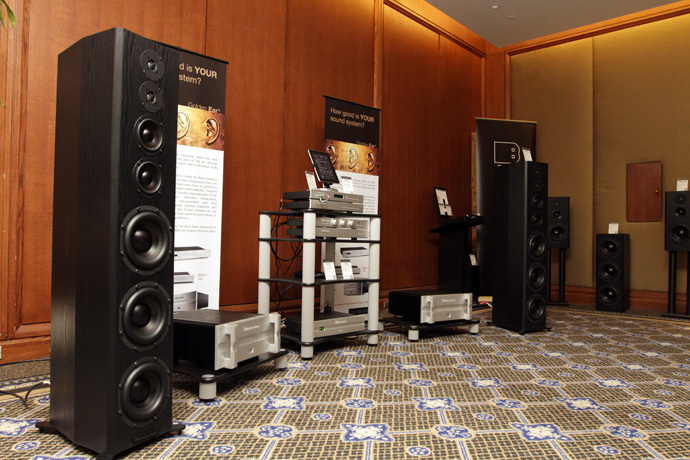 TAVES 2012 was the official public launch of the Model T, and according to Bryston's James Tanner, the response was overwhelmingly positive, which was evidenced by their room being packed almost every time we walked past it. We sat down on Saturday for a long listen and it was easy to hear why -- the Model T offers extremely deep, tight bass; reference-class clarity from the bass through the highs; and nearly unlimited dynamic capabilities. The soundstage was also remarkably deep with precise imaging, which surprised us for a speaker of this size and driver complement. 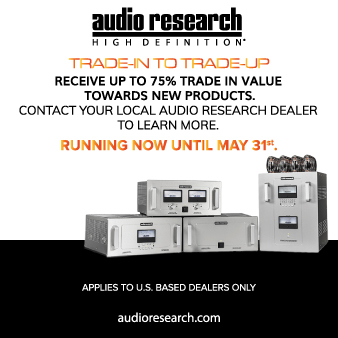 I understand that one of the design goals of the Model T was for it to be able to take full-power from Bryston's biggest amp, and from what we heard at TAVES, it appears that they've achieved that, among many other things -- they were driving the entry-level passive Model Ts with a couple of 28B SST2 amps, a mono design rated at 1000W into 8 ohms. The Model Ts played astonishingly loud, all the while remaining notably clean, with even the most raucous selections Tanner could find to play through them. Bryston's Model T is a real balls-to-the-wall design. If there's something to criticize, it's this: the standard-finished Model T isn't the looker that comparably priced competitors are. It's rather utilitarian looking and without graceful curves. It's also quite large, meaning it won't slip discreetly into most décors. 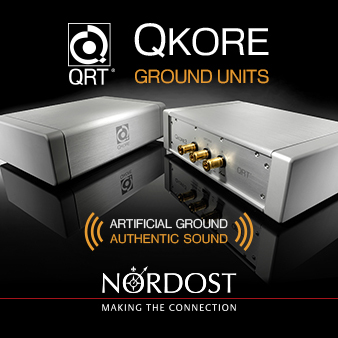 The dual tweeters and dual midranges also might make some pause for thought, even though their inclusion was a deliberate design choice to improve output capability and lower distortion. When James is asked about the drivers, he simply says, "Just listen and you'll hear why." A wise move, because the proof is in the listening. 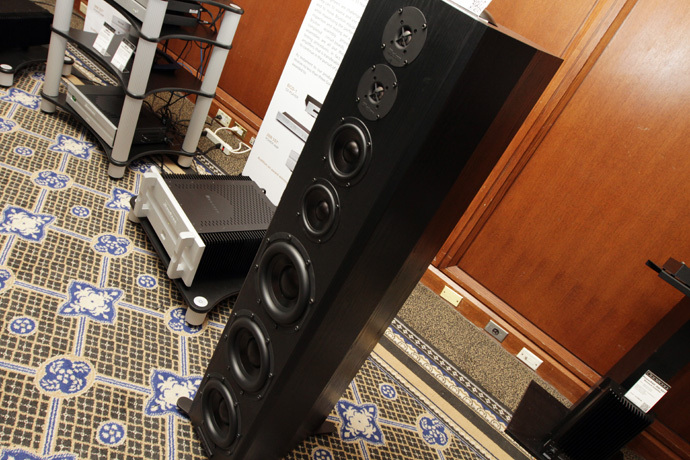 For those people with a large room who want a speaker that can deliver large-scale, full-range sound and convey the full dynamics of even the most challenging musical pieces, the Model T's looks will likely take a backseat to its extremely impressive sound and reasonable price.